Delhi-based lawyer Gautam Khaitan, accused of money laundering charges including in the high-profile VVIP choppers case, has been a beneficiary of Rs 850 crore slush funds generated out of defence deals, the Enforcement Directorate alleged Monday. The central probe agency filed a prosecution complaint or charge sheet against him before a court here under the Prevention of Money Laundering Act (PMLA). Khaitan, his family and companies have been charged by the ED for possession of alleged stash and three illegal bank accounts abroad. The ED said in a statement, "Khaitan held beneficial interest/ownership in foreign assets, company and accounts and he did not disclose the same in his return of income filed before Income-Tax department authorities for assessment year 2009-11 to 2019-20." 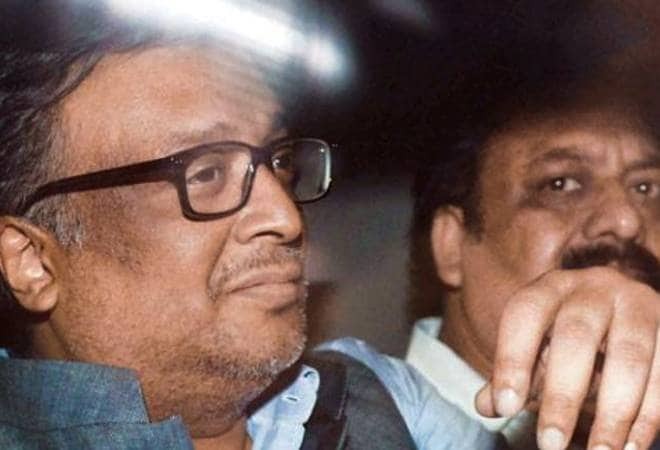 It charged that Khaitan holds bank accounts, either individually or in joint names of his family members "as well as corporate structures with beneficial interest in three banks in foreign jurisdictions -- Barclays Bank, Singapore Bank and UBS Bank". On the analysis of his foreign bank accounts, it was revealed that about Rs 850 crore in foreign currencies were received from suspected accounts and Khaitan had created firms which are under his control to launder funds "related to criminal activities such as kickbacks of defence deals". Khaitan was arrested in this case by the ED on January 25 and he is in judicial custody at present. This PMLA case was filed against him and his family members by the ED after taking cognisance of a complaint lodged by the I-T department under the Black Money (Undisclosed Foreign Income and Assets) and Imposition of Tax Act of 2015. The ED cannot independently register a criminal case and has to rely on a predicate offence filed by other law enforcement agency to act under the PMLA. Investigation conducted so far, it said, revealed involvement of Khaitan "in laundering the proceeds of crime for clients across the globe under the guise of providing legal consultancy". "For the same, he has been compensated and the said money has been received by the accused (Khaitan) in his offshore bank accounts and has been invested in moveable assets and properties abroad. The funds generated out of criminal activities are still invested abroad," the ED charged. Khaitan maintained two wealth accounts in Barclays Bank, Singapore, it said. The agency indicated to the lawyer's involvement in the Rs 3,600 crore VVIP AgustaWestland choppers deal, saying he is a "habitual offender" and there are other pending cases of corruption and money laundering against him. He (Khaitan) willfully did not disclose the details, was non co-operative and did not divulge the relevant information related to the bank accounts abroad and companies which were owned by him in which he had beneficial interest along with their respective bank accounts, it said. The agency has attached 10 assets belonging to the lawyer, his family and companies in India in this case and they have been valued at Rs 8.5 crore. The court took cognisance of the latest ED charge sheet and has summoned Khaitan, his wife Ritu and two companies -Ismax and Windsor- on May 4.